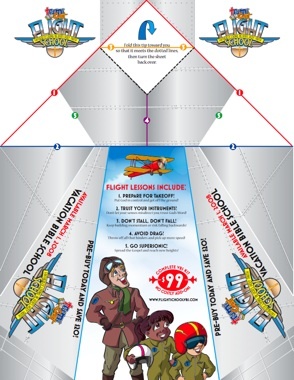 Home Children's Ministry CPC: Download a Cool Paper Airplane! One of fun things about CPC is the creative and fun ways exhibitors think of to promote their ministries and draw people to their booth. This year paper airplanes have been flying around the exhibit hall and they seem to all come from the direction of the TruthQuest Booth. So I went to investigate and I got one for myself. 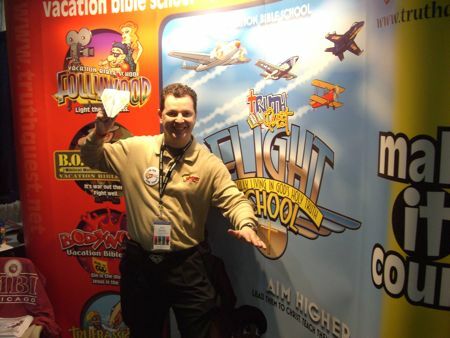 They are very cool and are promoting their newest VBS Flight School. But always with my readers in mind, I ask Michael Martin (founder of TruthQuest and CP Extraordinaire) if he would e-mail me the PDF to share with y’all here, and he agreed! I think I got hit by a few of those! Ha ha, i know Pastor Mike personally- he was my children’s pastor(I am in youth group) and he is an amazing dude. P.S. those planes are hard to make!